Bio: Eda Derhemi (PhD in Communication, 2003) is an adjunct assistant professor of Communications and lecturer of Spanish, Italian, and Portuguese. She completed her undergraduate studies in Linguistics and Literature at the University of Tirana, Albania and her graduate studies in Illinois. She has extensive teaching and research experience in Language and Media Studies. She worked for many years as a correspondent journalist for Deutsche Welle, and is a regular writer of opinion pieces in the main Albanian media. Her interests are: linguistic endangerment and language death, minority languages and ethnicity in the EU, language of the media and propaganda, Balkan and Mediterranean studies, Arbëresh and Arvanitika. This is the second year I have traveled to Greece to study Arvanites, a population of Albanian origin that has lived in Greece since the 13-14th century, and in a few cases still maintains the old Albanian language they brought with them, the Arvanitika language. 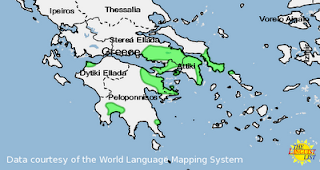 Arvanitika is a dying regional language, neglected and never officially recognized as a minority in Greece. 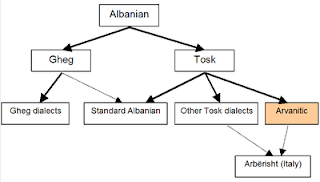 Yet, it is a language that I, a native speaker of modern Albanian, can understand well, and that is spoken fluently by old speakers of this community in Greece. Various academic studies show that even though Arvanites and Arvanitika were extensively spread in almost every region of Greece, including villages in Attica, Eubea, Biotia, Morea , they were increasingly denigrated after the war for independence in the process of formation of the new Greek nation-state. Greece, a country of many languages, cultures and ethnicities, pledged official allegiance to only one language, history and ethnicity, all strictly and artificially related to the great ancient Greece. Centuries of intentional official abandonment have given rise to anti-Arvanitika (and anti-Arvanites) ideologies enacted not only by dominant groups, but by the minorities themselves as well. In the recent decades the Arvanites concealed their roots and silenced their own language. Their heroic contribution to the independence of Greece from Turkey, as a group with clear ethnic features, was passed unnoticed. Although this has hurt the state of Arvanitika language and has significantly shrunk the centers where the language was once spoken, in those centers that had survived, until the 1950s, the language was still spoken in everyday communication among the generation that is today in their 80s and 90s. Middle-aged speakers who still maintain some form of Arvanitika tell me that their grandparents, especially the grandmothers, often did not speak Greek at all, and were monolinguals in Arvanitika. But in my travels in these last two years, I have visited small and large communities of Arvanites, not only in the cities, but also in isolated small communities high in the mountains, and I have not yet encountered a community that speaks the language; only individuals that still maintain it. Even sadder is the sense of shame among young Arvanites to be identified as Arvanites. This summer I decided to visit an island that has historically had an Arvanitika speaking majority, an island with a very prominent history of contribution to the Greek war of independence, the island of Hydra. The heroes of the island are well-known in Greece as are the Hydra fleets or the sea battles around the island, but the young Greeks have no idea that all these heroes were Arvanitika speakers. I have always been struck by the great similarities between Greeks and Albanians in their gestures, looks, foods, music, traditional clothing and culture in general. It is beautiful to see such similarities with a neighbor, but it is sad to know that often in the track of history Greeks and Albanians have seen each other as enemies. The hostilities were reactivated after the recent massive emigration of Albanians, especially from agrarian areas, to Greece after the fall of communism in Albania. This was a new blow for an Arvanitika that already was dwindling, for the communities that had already undergone a break in language transmission, for the linguistic attitudes among old and young members of Arvanites. The man paused suddenly and for a few seconds was saying nothing, just looking at me confused. He said “Aha… from Alvania”, and looked at me again straight in the eyes as if he wanted a second confirmation about my origin. I nodded my head smiling and saying “yes”. The old man stopped talking for a minute just looking into the air in front of him, and then turned and talked for the rest of the trip to another Greek passenger on his other side. I said goodbye to him when I left the boat, but during the two hour trip we exchanged no other word with each other. Such reactions have been common during my weeks in Greece. Fortunately I am not hurt from them as an individual, as long as I can explain them. But from the case of Arvanitika, and other dying languages around the world, I know very well what cultural ethnic hostilities can do to the languages and their functions. 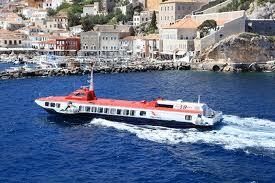 The ship arrived in Hydra, another gorgeous Greek island in the Eastern side of Peloponnese peninsula. This is Part One of a two-part series. Click here to read Part Two! My father (of blessed memory) was raised in Pireaus, Greece. He came to America in the 40's and married my mother of Greek immigrant parents. My father spoke Arvanitika and would speak this unfamiliar language to some relatives visiting from Greece, instead of his Greek language I was raised to speak and hear. I knew very little except that his mother and father both spoke Arvanitika and came from a small town north of Athens called Madra. I know very little about this piece of my family history as my father died when I was a young teenager. I appreciate your article as I have served to Orthodox mission trips to Tirana, Albania...beautiful people and a beautiful country. God Bless your work. Greeks have stolen history and that is the real history but who's to prove them factually wrong but the true Albanians that know their trace and roots, from traditional clothes to traditional dance and language, the list goes on. Their history is albanian history. Lindita: thank you for reading this story. However I have to contradict you in your assertions. You talk about Alexander the Great as if he is one of our contemporaries. The Albanians, and Greeks, and Macedonians of today, have but a symbolic connection with those of the 300 BC. These are all concepts that are related to new nation states created in the zone very late... after 1830s to be precise. The languages and identities have been characterized by an extreme dynamism and have changed continuously, have been wiped out and returned, naturally or by the work of state and religion. Like in other parts of the world, and probably even more, we in the Balkans have mixed with, and have given to and taken from each other a lot. You should be careful when you use claims as these above, in the form of nationalistic slogans. The culture and history of the place has often been used for political manipulation (and still is). Please be aware of such traps. Please check out the greek historian video clips translated in albanian and english under the YouTube account: Ben Web. Lindita, Arvanites are not descendants of Spartans. 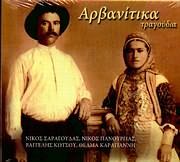 Arvanites are descendants of Albanian immigrants of 13-14th century in Greece.